For the Glock owner who has everything! In a happy coincidence, I was recently gifted with Advantage +1 followers that purportedly make room for an additional round in most Glock 9mm and 380 magazines. Reviewing those gave me a chance to rendezvous with another gadget I’ve had for a while, but is a perfect complement to the +1 followers: the GTX Glock Armorer Tool by Advance Dynamic. First, the armorer’s tool. Less than five inches in length, and packaged in an attractive, padded nylon case, this presentation-worthy tool is really useful. 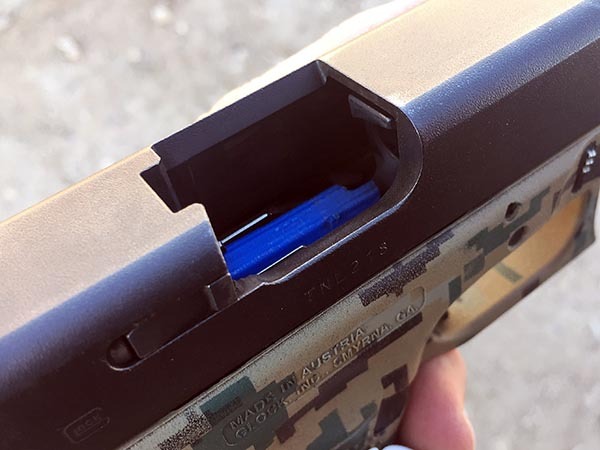 The most important function it performs, for purposes of this article anyway, is to easily remove that difficult-to-loosen floorplate on Glock magazines. 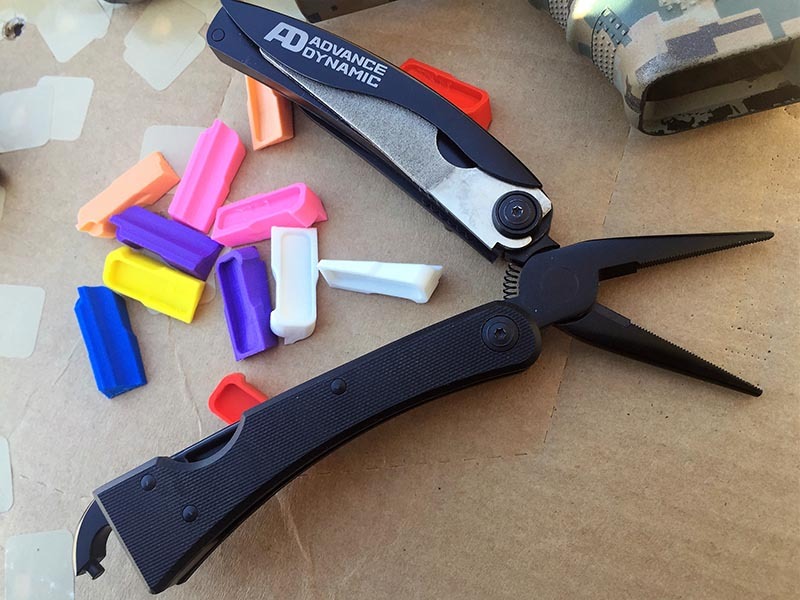 GTX Glock Armorer Tool by Advance Dynamic makes short work out of removing floorplates. With a curved prong that depresses the pin of the locking plate, the tool uses leverage, applied downward, to simply pull the floorplate right off. It takes a little getting used to, and I did cosmetically damage the first mag I applied it to after a long period of non-use. Even so, the GTX tool works way better, and safer, than home-cooked methods of floorplate removal. The GTX tool also has a file, folding blade, punch suitable for all the pins on a Glock, wire cutter, needle nose pliers, flat head screwdriver, and bottle opener. It’s an ingenious and handy bit of kit every Glock owner should have. It can be ordered direct from California-based Advance Dynamic for $69.99. It was this tool that helped me skip steps 1-6 of the thorough instructions provided by Advanced Weapons Parts (apparently some form of “advance” is a cool thing to name a gun gear company). With the floorplates of my mags off, I could focus on attaching the followers. This looks easy enough, but I found the pliers of the GTX Armorer Tool helpful to press, but not bend the spring into a couple of the colorful followers. I never really got a feel for the right way to do this; it seemed like after a certain amount of poking and prodding, each one just fit. Advantage +1 followers are a molded piece of polymer made to replace the follower in Glock factory magazines for Glock models 42, 43, 26,19, 17, and 34, Generations III-V. They don’t work in extended-capacity aftermarket mags. 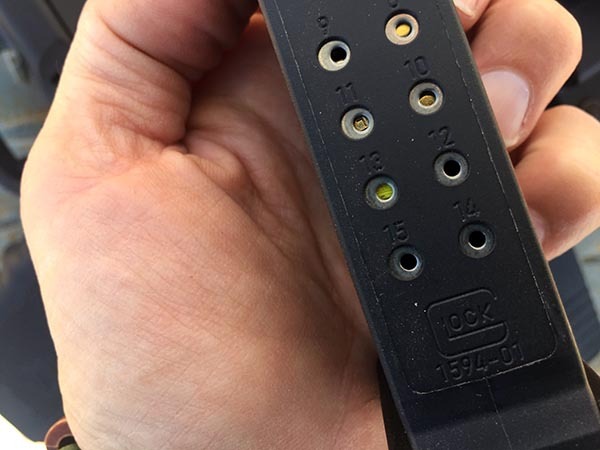 There are two types of Glock mags, and two choices for installing the Advantage +1 follower in some of them. Magazines stamped “1594-01,” which my Gen IV G19 has, must have the lock plate removed for the follower to function properly. Mags stamped “Austria” on the back, as well as G42 and 43 mags, can keep the lock plate. I loaded mags of both types for my G19 and 17, both Gen IV guns. The follower never failed to put the slide in lock-back on an empty mag. Right away I found a nice benefit of these followers: their bright color shows up well though the load-status ports on the back of the mag, eliminating the guesswork sometimes associated with only looking at cartridge bases through the holes. Of course, the follower goes out of sight for the last two rounds on a full mag. I was expecting a hard push to get the last found in, especially on the G17 mags which retain the locking plate, but that expectation was wrong. The last “extra” round loaded easily into both types of mags, every time. The brightly colored follower is easy to spot in the indicator ports. The magazines fed well with Federal Syntech and Aguila FMJ, both 115 grain loads. Slides locked back on the last round as they should. Based on initial testing. I think the Advantage +1 follower can be counted as one of the Glock gadgets that reliably works and delivers real benefit. Those are two descriptive phrases I don’t often use for add-ons! My only concern about using the Advantage +1 followers is the potential, on the mags that have the locking plate removed, for the floorplate to be dislodged when the mag hits the ground during a reload. For this reason, I’m most comfortable using these followers with my G17 and any other models not requiring locking plate removal. 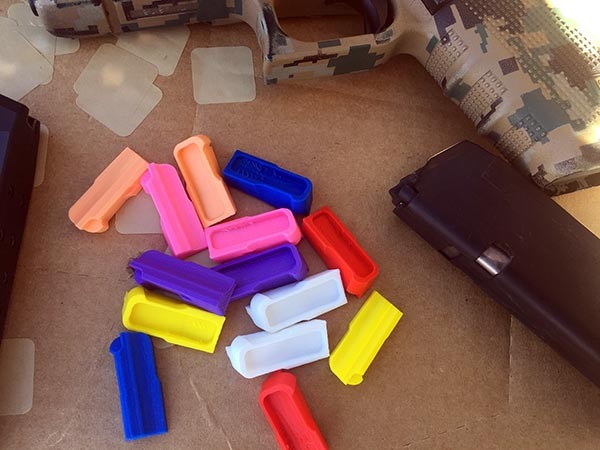 While a loosened floorplate on an empty mag presents no risk in a gunfight, it also has no place in good training and could cause delays on organized range exercises. The many colors of Advantage +1 Glock mag followers. And if I had the privilege of being really picky, I’d suggest colors of the tactical spectrum for the followers as well as the bright ones currently offered. Though that would give up the advantage of quick load status-checking, some folks prefer to not draw attention based on gear color. 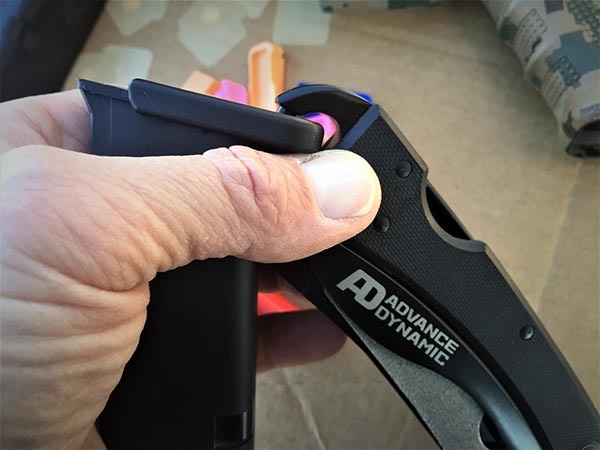 All that aside, the Advantage +1 follower for Glock 380 and 9mm mags, made by a US veteran-owned business Advantage Weapons Parts, does offer a great advantage in adding that extra round to whatever mags you happen to use. At $5.95 each, they’re a great bargain for the benefit gained. *Editor's Note* If you're serious about training with your Glock, you may want to check out our Glock E-Trainer.